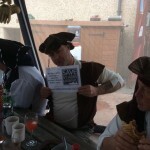 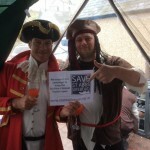 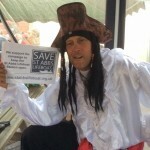 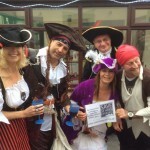 A group of divers from the Robin Hood Dive Club came to enjoy a weekend’s diving at St Abbss and while dressed as pirates were the first to get their photographs taken with our new logo. 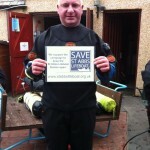 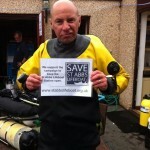 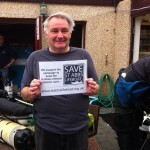 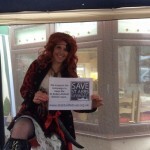 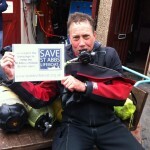 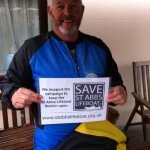 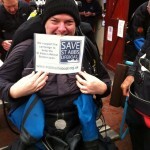 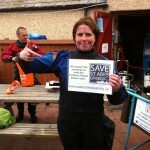 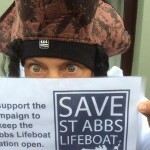 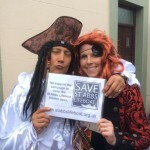 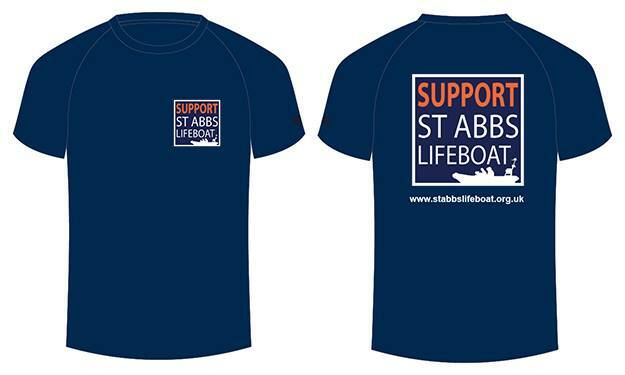 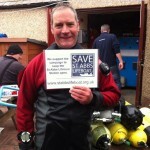 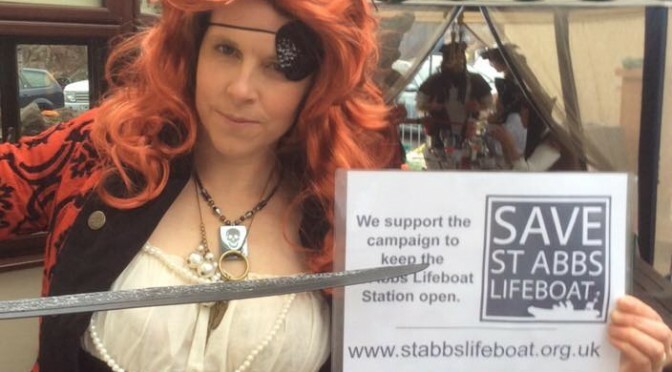 They then shared these pictures with their friends on social media to raise awareness of our campaign to “Save St Abbs Lifeboat”. 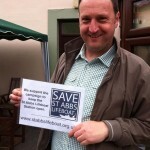 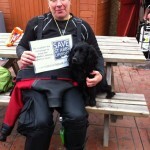 Thanks for your support, and we’ve now ordered a set of bigger signs to help spread the word.